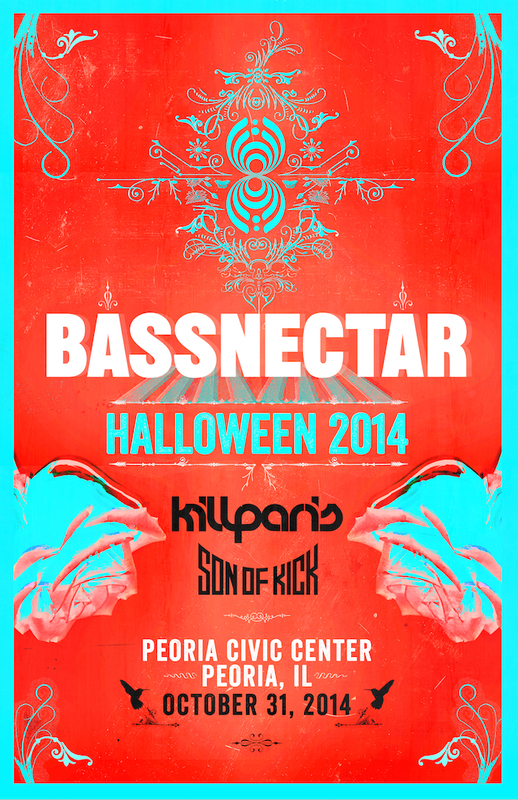 The Bassnectar crew will be taking over Peoria, IL at the Civic Center for a special NVSB Tour 2014 Halloween Event on Friday, October 31st 2014! Will special guests Kill Paris and Son Of Kick. This is sure to be a big one: we will be summoning some serious sonic spirits and reaching out beyond this plain of existence with beats to wake and bass the dead. 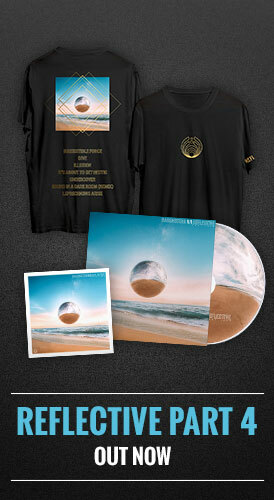 Expect dark caverns of sound splashed with technicolor highs, alternate realities and astral happenings aplenty. I will be using equipment that has passed through several dimensional portals, and will fly around the venue on a nazgul. Plus there will be candy. And we’re throwing down the gauntlet for costumes this year! We want to see all bass heads turned out in the most mind-bending costumes imaginable – e.g. it’s not enough to be just a zombie or a vampire. Unless you have to work that night, you have to be a zombie astronaut punkrocker, or a vampire spiderman nurse from the future. Step it up! 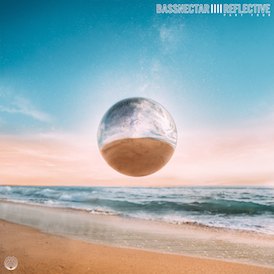 Costumes that riff on Bassnectar album covers are welcome and we will have swag bags to give out to people who really blow our fragile, sheltered minds!